Ultra premium DeLeon Tequila was appropriately launched during Cinco de Mayo, the Mexican national holiday. The official launch happened at an exclusive party at the luxury Hollywood hotel Chateau Marmont. This premium spirit comes in an elite, crafted bottle and made in black glass by one of the finest world’s glass makers. The bottle is topped with an iconic metal top. The master of the top was hand-carved by jewelry designer – Bill Wall. DeLeón Tequila is produced in the highlands of the Purisima del Here village. A family has tended their fabrica here on the most pristine and ideal agave land possible. The location is ideal, situated in a mountainous region, rising higher than 7,500 feet above sea level. DeLeón Tequila will be limited to just several sites, including Los Angeles, New York, Las Vegas, and Miami. International cities will include Hong Kong, Dubai, Macau, San Tropez and Monte Carlo. 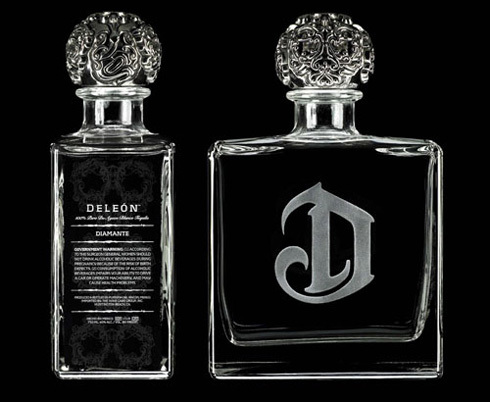 DeLeon Tequila will initially be available in two 750 ml. varieties: the Diamante MSRP ($134.99), and the ultra smooth Reposado ($149.99).